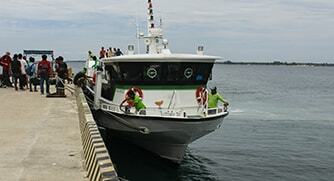 Arrival at Lombok (Lombok Airport, Lembar Port,Bangsal,Teluk Kodek ,Senggigi Port) or prefer to be pick up in other places like Mataram,Kuta Lombok,Gili Islands(need to inform the hotel name and in Gili Islands, please come by yourself to Harbor, Our staff on the port, they will arrange you the boat transfer to Bangsal and the driver is waiting in Bangsal). Then transfer to Senaru, briefing and prepare for the trekking that start in the morning on next day. After breakfast at 6.40AM, you will leave Senaru and drive for 45 minutes to 1 hour to Sembalun, at 08.00 AM register your name at Rinjani Information Centre(1051M),after that you will start the trek for 2 hours to the first monitoring post at 1.300M , have a rest for 10 minutes. Then continue to second monitoring post at 1.500M (Tengengean) for 1 hour, break for 10 minutes here, after that you continue to the third monitoring post at 1.800 M(Pada Balong), one hour form second monitoring post, take a rest for 2 hours, lunch, coffee and tea are serving here. After lunch, you will continue to Sembalun Crater Rim(Pelawangan Sembalun) at 2.639M for 3 hours, you will overnight and tent here. 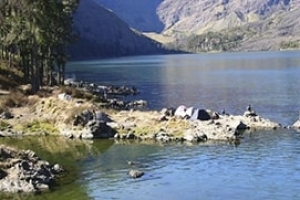 Enjoy the beautiful scenery, sunset,Segara Anak Lake,Sembalun Village, summit of Mount Rinjani on the North side and you will be welcome by beautiful sunrise on the next morning. You need 3 hours to get here from Pada Balong, the second monitoring post. 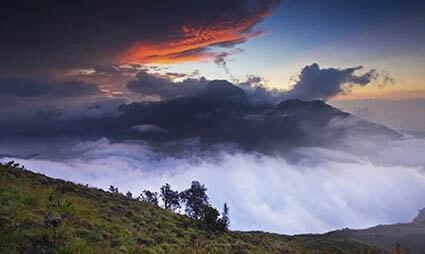 You will leave Crater Rim at 03.00 AM to Summit at 3.726m, so please wake up at 02:30 am for light breakfast. You need 3 hours and 20 minutes to get to the summit. The first stage climbs over 120 minutes, while the second stage is fairly easy but long trip. The last hour was very steep and difficult. (There are plenty of loose stones, and when you take two steps forward you will slip one step back). 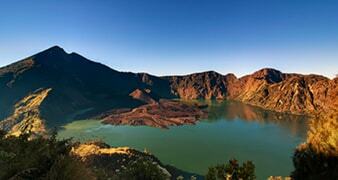 When you are at summit, you will be able to see Lombok around, Bali, Sumbawa, the view of Segara Anak Lake. 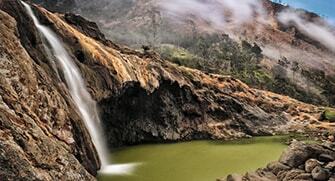 After having sunrise on the top 3.726M of Rinjani Mount,you will be down to Sembalun Crater Rim and when you get there you will take times for break and breakfast and then continue to Sembalun Village,walk for 5 hours to get there, the lunch will serve on the third monitoring post or second monitoring post. The drivers are ready for you at Sembalun Village, and then transfer you to Senaru for luggage before continue to Senggigi,Mataram, Lombok International Airport or Gili Islands.